Up one flight,to the right, please to ring the bell. 2.What do they do in babyland? Dream and wake and play. Laugh and crow, fonder grow. Jolly times have they. 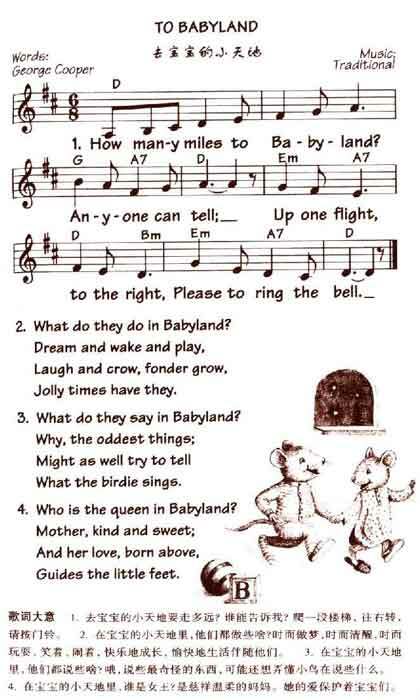 3.What do they say in Babyland?